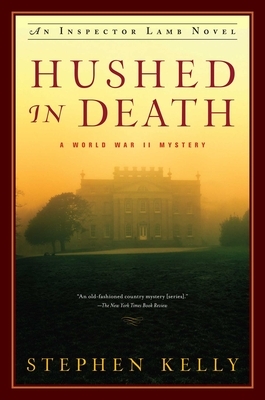 In the spring of 1942, with the war in Europe raging, a gruesome murder shocks the rural community of Marbury, where a once-grand estate called Elton House has been transformed into a hospital for "shell-shocked" officers sent back from the front lines. When Detective Chief Inspector Lamb arrives to solve the case, he quickly learns that the victim, Elton House's gardener Joseph Lee, had plenty of enemies in Marbury--and so he and his team have plenty of suspects. Along with his team of investigators, which includes his daughter Vera, Lamb begins to untangle the threads of rivalry and deceit that lie beneath the surface of the seemingly-peaceful countryside village. It soon becomes clear that Lee's mysterious past is intertwined with the history of Elton House itself, which fell into disrepair a generation earlier after a shockingly similar murder, and the mystery deepens further when Lamb discovers that one of the prime suspects has seemingly committed suicide.